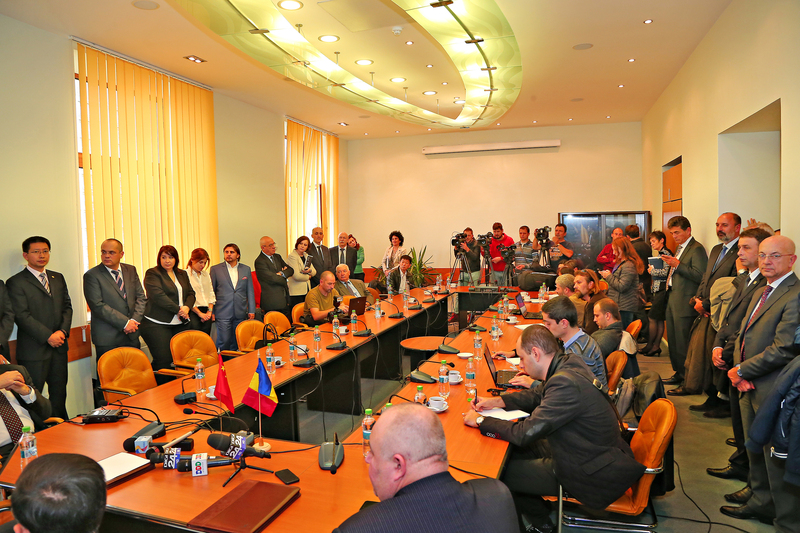 SN Nuclearelectrica SA („SNN”) informs the shareholders and investors that, today, November 9th 2015, the Memorandum of Understanding for the development, construction, operation and decommissioning of Cernavoda NPP Units 3 and 4 was signed by the parties involved in the project: SN Nuclearelectrica SA and China General Nuclear Power Corporation. The Memorandum is part of the Governmental strategy for the continuation of the Cernavoda NPP Units 3 and 4 Project through the organization of an investors selection procedure and it establishes the directions of the future cooperation between the two companies. “The signing of this Memorandum of Understanding by the companies involved in the development of the most important energy investment project represents a concrete step forward in the establishment of the major coordinates of the project: the Investors Agreement, the Articles of Incorporation of the new project company, the structuring of the project’s financing and the contracting of engineering, procurement and construction services. Units 3 and 4 Project will fulfil the long term needs of the energy system corroborated with the decarbonisation targets, ensuring the security of supply, the contribution to a balanced energy mix, the stability and affordability of the price for the end consumer. At the same time, the development of this project, for Nuclearelectrica, represents additional income from the capitalization of the existing assets, from the operation and maintenance services and from the supply of nuclear fuel. Thus, the project signifies a double gain: both for the Romanian state and the energy system as well as for the growth and development of the company. 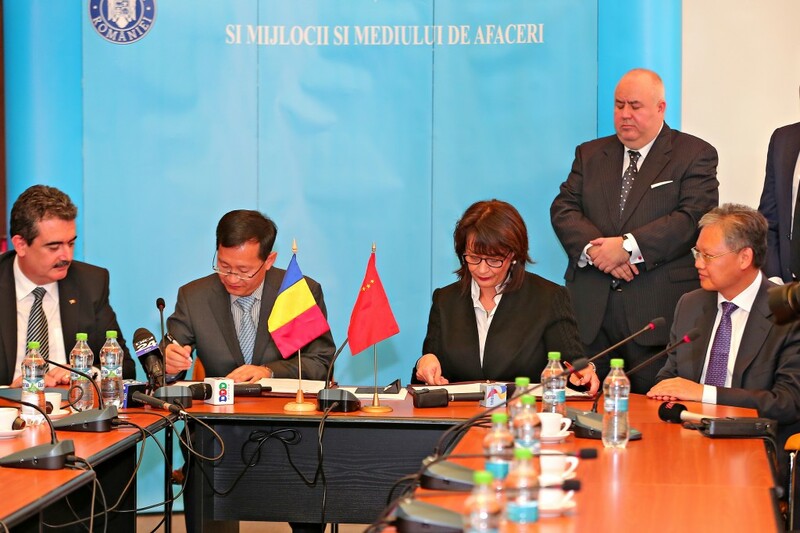 To this, is added the development of the Romanian nuclear industry through its involvement in the project, the creation of thousands of jobs and of an attractive economic and technical environment for investors” – Daniela Lulache, CEO, SN Nuclearelectrica SA. Thus, SN Nuclearelectrica SA and China General Nuclear Power Corporation, the selected investor, entered the last stage of the selection procedure, initiated in August 2014, and will subsequently start the negotiation process of the Investors Agreement and Articles of Incorporation of the new project company. The new project company will be a “Joint Venture”, in which China General Nuclear Power Corporation will own at least 51% of the share capital, in compliance with the Strategy for the Continuation of Cernavoda NPP Units 3 and 4 Project, approved by the Government of Romania in 2014. Cernavoda NPP Units 3 and 4 project implies the construction of two additional CANDU 6 type reactors on Cernavoda NPP site, each with an installed capacity of 700 MWe and a life time of 30 years with the possibility of extension with an additional 25 years. The doubling of the production capacity of cernavoda NPP through the construction of two new units represents a major competitive advantage on the medium and long term as Romania owns the entire nuclear fuel cycle: from raw material (internal nuclear fuel production, heavy water), to specialized infrastructure and highly qualified human resources. Regarding the contribution of nuclear power to reaching the decarbonisation targets, by doubling the nuclear production capacity with two additional CANDU 6 nuclear reactors, approximately 12.000.000 tons of CO2/year will be saved from being released into the atmosphere. From the point of view of energy efficiency, the energy produced by a single nuclear fuel bundle is of 1115 Mwe, the equivalent of the energy produced by 470 tons of conventional fuel, 2220 tons of brown coal, 317 tons of crude oil and 363 thousand Nm3 (normal cubic meters) of natural gas.